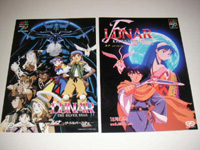 There have been a ton of flyers for the LUNAR series over the years. We don't have many of them pictured below, but we do have a few. 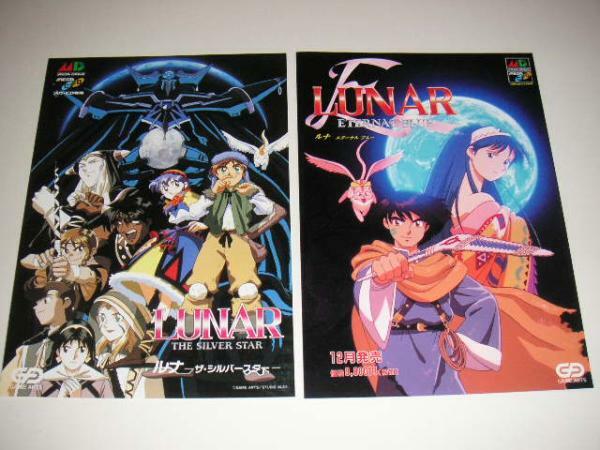 The first two are from the Japanese Mega CD Lunar: The Silver Star and Lunar: Eternal Blue. 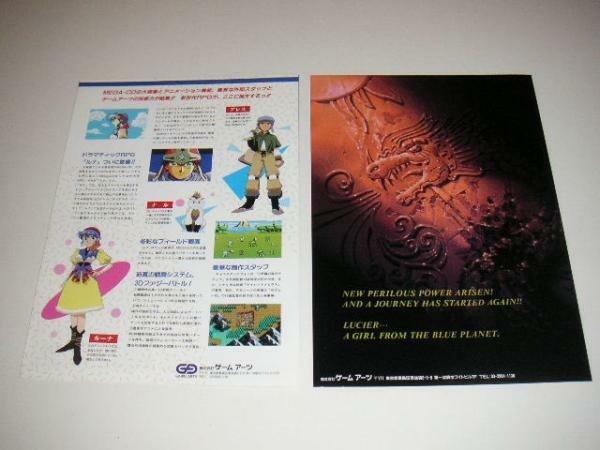 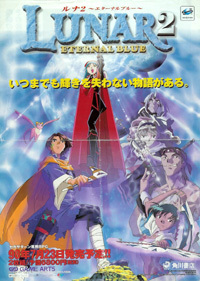 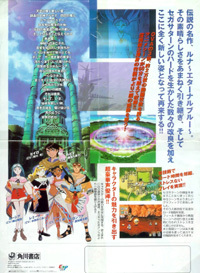 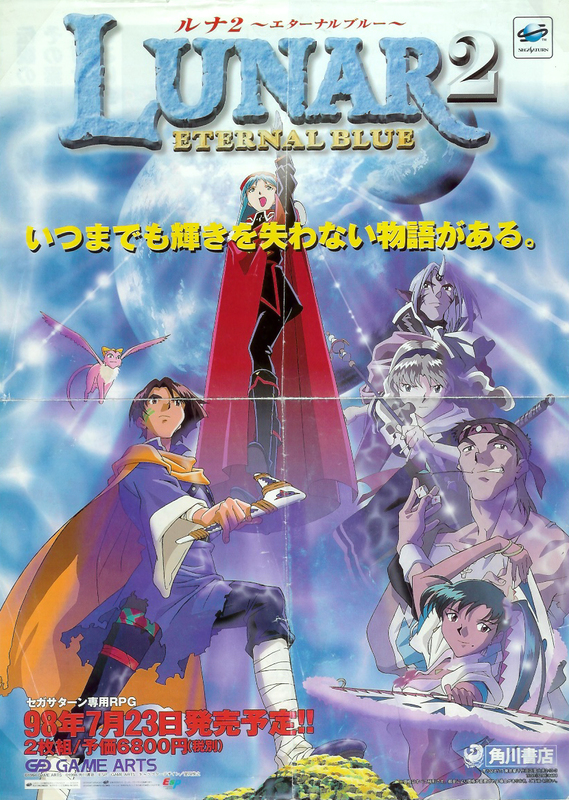 The second two are Japanese flyers for the remake of Lunar Eternal Blue.